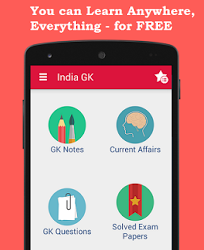 5, 6 August 2017 Current Affairs MCQs, Quiz, Questions: Current Affairs for August 2017, Daily Multiple Choice Questions (MCQs) for India GK, World GK and current affairs with Collection of daily objective type Question by www.Indiagk.net based on General Knowledge (GK) and General Science (GS) Questions for UPSC, State PSC, SSC, Police exam, Railway exam, SBI, Bank PO, IBPC, SSC, LDC, UDC, Army, Airforce, Navy, Coast Guard, Bank Clerk, TET and all entrance examination with current affairs News, Multiple Choice Questions (MCQs) available on Website www.IndiaGK.net and Android Apps with daily updates:. Who is Roped in as Brand Ambassador for Swachh Bharat Mission in Uttar Pradesh? Which Railway station will be Renamed after Pandit Deen Dayal Upadhyay? Who has been appointed as the new CMD of SIDBI? Who is elected New Vice President of India? Who wins 100 Meter Gold in World Athletics Championship on 5th August 2017? Vijender Singh beats Zulpikar to win WBO Oriental Super Middleweight title. He is from which country? Which country wins India - Srilanka test series 2017?